Sometimes cooking and writing alone at home all day can get lonely. Don’t get me wrong, I’m grateful that I have the opportunity to do so but as with any ‘work from home’ career, it’s easy to let yourself wear pyjamas all day and go all day without any other physical human contact. It’s so easy to get lost in dramas and lives online and never leave the house and not feel anything until the loneliness washes over you like a steamroller. I’m a bit of an introvert at heart so I have to force myself to join meetups and groups to get myself out of the house. Since I’m not a naturally awesome (yeah, I’m awkward) conversationalist, I tend to chose groups where I know there will be like minded people present. It just makes meeting someone and talking to them that much easier. 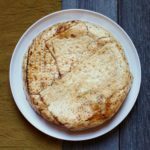 About a year ago, local chef and food writer, Julie van Rosendaal, threw out the idea of having monthly cooking club meetings via Facebook. 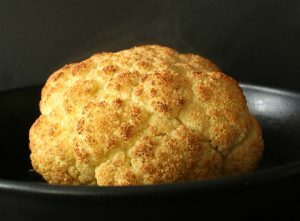 The intent was to gather food lovers together monthy, to cook a variety of dishes using a theme, cookbook, or specific chef. A few names were kicked around and Bite Club was born. The first meetings were a ‘get to know you’ sort of style, with ‘biteclubbers’ bringing cherished family recipes. Monthly topics are discussed via the Facebook group and members often take turns hosting at their homes. So You Want to Join a Cooking Club? So far we’ve had a French cooking themed Bite Club, as well as other meetings featuring the food of Rick Bayless, Julia Child, and Dorie Greenspan. We’ve also cooked from books written by local authors; A Spicy Touch (Noorbanu Nimji and Karen Anderson) and Yassin’s Kitchen (Yassin Jallow). I’ve been following Julie’s social media feed for years and (being a fellow pie enthusiast) I’ve always wanted to participate in a pie social, like the ones she hosts several times a year. My wish came true this year on pi day (March 14!!) as we gathered together with 20 plus pies in the basement of a local church, I recognized the diversity of our wonderful group. 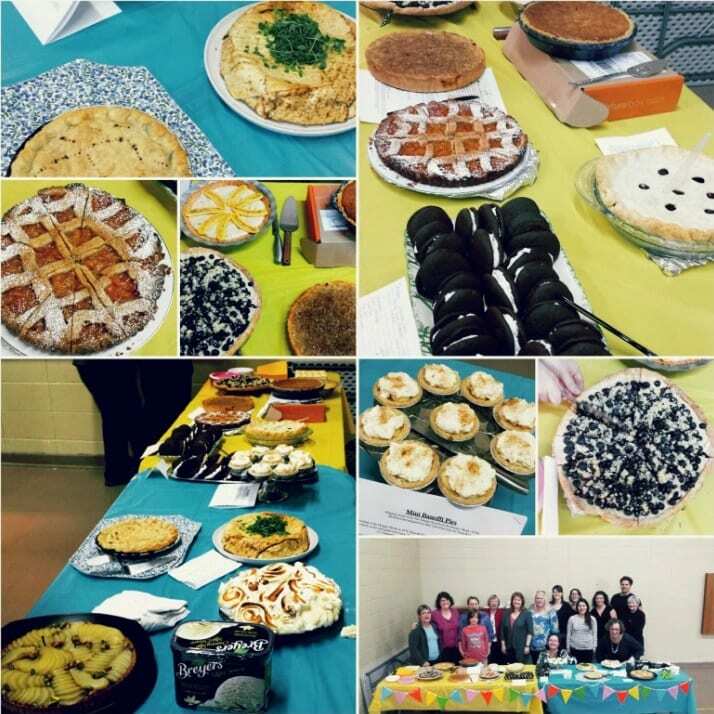 We had everything from pear tart to whoopie pies, Saskatoon pies, Peanut Butter Pie, Banana Cream Pie and even a couple of savoury pies. One of the savoury pies was mine. I knew there was the high likelihood of sugar overload so I decided to bring a meat pie and for some reason, even though I have no fear of pastry, I decided to try making a crust using matzo crackers. I googled ‘matzo pie’ and several different recipes came up and I chose Molly Yeh’s recipe because it looked the closest to what I was going for. I think next time I will include some mashed potatoes or lentils to make the filling a bit more stable as I found it was a bit messy when cut into individual portions. Another way to meat pie. Heat the oil over medium high heat and add the onion, carrots, and a pinch of salt. 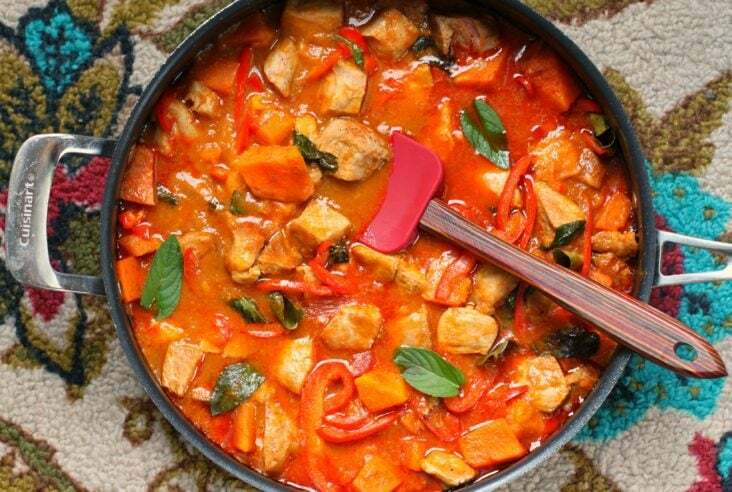 cook, stirring, until soft and translucent, 5-7 minutes. Add the beef and seasonings. Cook, breaking up the beef with a spoon or spatula, until it is fully cooked and no longer pink. Taste and adjust seasonings as desired. Grease an 8” cake pan and set it aside. Soak one matzo in warm water for a few minutes until it has softened (I kept a kettle of hot water nearby to replenish as the water cooled) but does not break up into mush. Dampen a clean tea towel and place the soaked matzo on the towel, covering with the other half of the towel. This allows the excess water to redistribute and get soaked up by the towel. While your next matzo is soaking arrange the previous matzo in the greased pan, breaking up as needed and allowing the matzo to overlap the edge of the pan (you will fold it over later). Once the pan is fully lined, pour in the beef mixture and pack it down firmly. 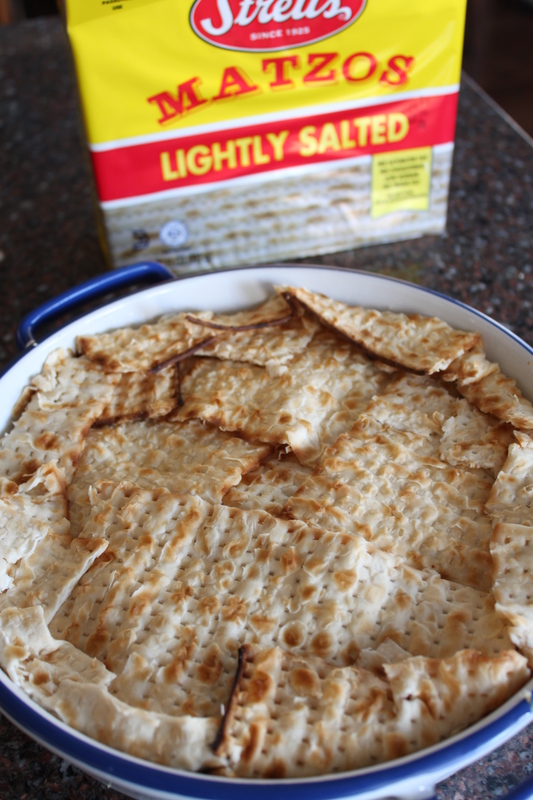 Cover the top with more soaked matzo, pressing the edges to seal, and then brush it with a healthy coating of egg wash. It doesn’t have to be pretty as the pie if flipped over once it’s finished baking. Bake until browned, about 30 minutes. Let cool in the pan on a rack for 10 minutes and then invert onto a plate. Top with parsley or micro greens and serve. *NOTE: I found the filling rather loose and will try to make it a bit more resilient by adding 1 cup of cooked green lentils the next time I make this pie. I bet you could use mashed potatoes too! I love this recipe, Bernice, and I can totally relate to your tale of a blogger’s life. Sometimes I feel like we’re all slogging away alone in our kitchens, and we don’t even know what other like-minded souls there are out there, thinking the same thing we are. Sending you food blogging friendship across the miles. 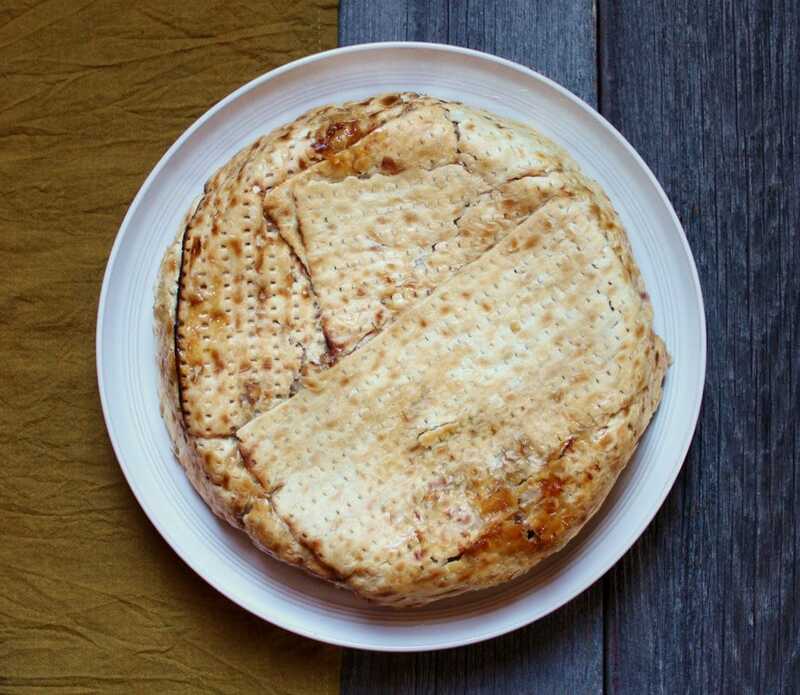 First – what an interesting idea to use matzoh as a pie crust! Second – I’m pretty jealous you get to hang out with Julie, I’m a big fan! She’s a lot of fun and as you can imagine…a great host! My grandma used to make a pie similar to your recipe, Bernice! Thanks for motivating me to engage in the kitchen more often! That’s great to hear Agness. I had only just heard of Matzo Pie about a year ago. Keep on cooking!